About Rich: I’m originally from New Boston, Michigan, which is south of the Metro Detroit airport. After graduating high school, I joined the U.S. Air Force and served for 10 years. In 2011, I separated from the military and moved to Kalamazoo for work. In my free time, I spend time with my wife and children, read, and love traveling. I'm also a pilot (although I don't fly much these days) and avid scuba diver. How you started at CrossFit Torrent and what made you transition into coaching: I am new to the Torrent family and excited to be here. I found CrossFit in 2013. One day i was at the gym doing the typical bodybuilding routine and just felt there had to be something better and something more to get excited about. 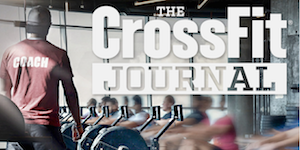 The next day, I walked into a CrossFit box ready to work out. The workout, a chipper. I thought I was in shape, but quickly found out I was very wrong. Since that day I've never looked back. In 2015, I had the opportunity to go to the Powermonkey Fitness Camp and realized then I wanted to be coaching and helping others meet their goals. I attended Level 1 in 2015 at Rogue HQ and met some amazing coaches and athletes in the community and continue to meet amazing individuals everyday. My favorite part of being a coach is... seeing people accomplish things they never thought possible. CrossFit and the community is an amazing thing. People from all walks of life overcome obstacles and hurdles they never believed they could. This occurs not only in the gym, but outside in each person's personal and professional lives. The methodology and community transfer over in so many ways to different aspects of life and it's amazing to see people overcoming challenges. Even if that challenge is sometimes their own mindset. If I am not at CFT you can find me: With my family at home or on some adventure. I have a Harley and am currently building a Cafe Racer motorcycle. I’m a huge Michigan football fan. Go Blue! !